We’re not sure what it says about our podcast, but we recently deleted this 11-second segment. Can you tell who is Richard Nixon and who is Jeff? :: Gordon attends a dedication for the Effigy Tree sculpture in Hudson Park on Saturday, Sept. 26 (details here). Next week we’ll play some of his audio clips from the event. 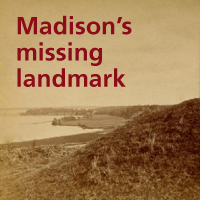 :: New quiz for October coming soon: look at photos and guess locations of local effigy mounds. We’ll award either two hours in the field with us or a copy of Indian Mounds of Wisconsin. Your choice! :: Follow Jeff or Gordon on Twitter. We don’t tweet often, but when we do you can be sure you’re getting your 140 characters’ worth. :: We swear that our first Unseen Madison podcast is almost done. The highlight of our outtakes: a Richard Nixon Watergate clip! Win big in September quiz! 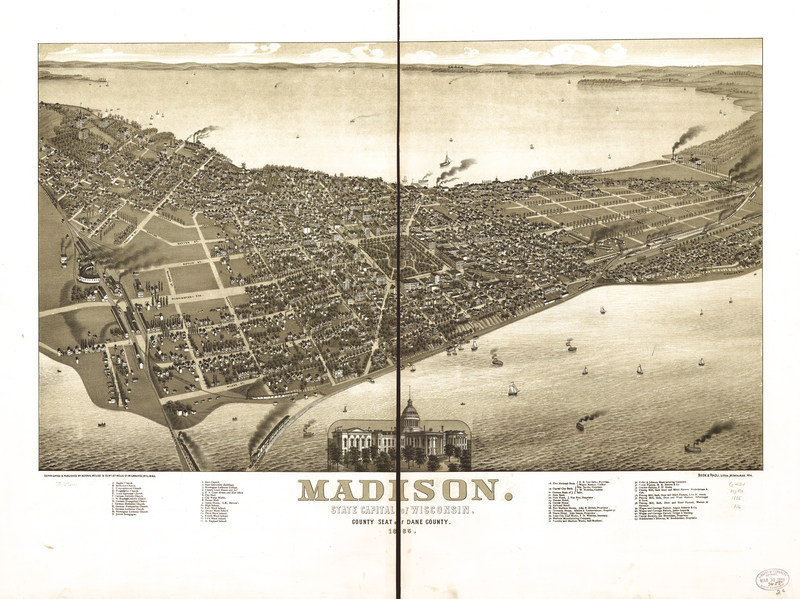 To the winner of Unseen Madison’s September quiz: a two-hour tour of an “unseen” place in the Madison area. We (Gordon and Jeff) will be your friendly and sometimes knowledgeable guides. On to the quiz! Look at the banner photo (taken in 1902) at the top of the page. 1. what large feature is in the foreground? 2. what prominent elevation is on the middle horizon? Check your answers here. Let us know if you were correct by using Contact in the sidebar. If there’s more than one winner we’ll either hold a random drawing, or invite all winners if it’s not too much hassle.